USA’s Jason Brown finished fourth in the free skate with a new season’s best of 172.32. His routine to a Simon & Garfunke medley featured excellent footwork and spins, however, the 2018 Internationaux de France silver medalist underrotated and stepped out of his opening Salchow and later underrotated a triple Axel. He finished in fifth place overall (258.89). 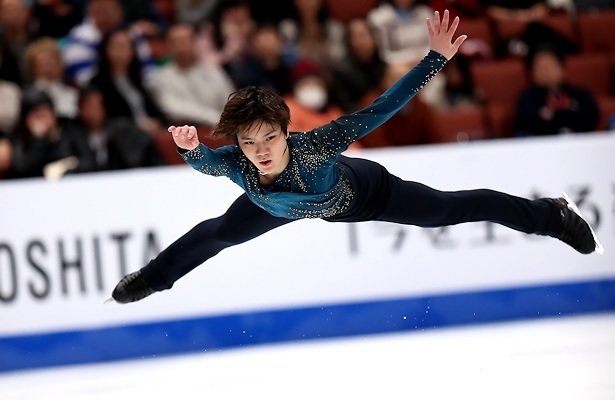 South Korea’s Junhwan Cha, who stood in second after the short, struggled with his jumps in which six were called as underrotated. He finished eighth (158.50) in the free skate and slipped to sixth overall (255.83). Brendan Kerry of Australia finished in ninth place (224.44), followed by Canada’s Nam Nguyen (216.49).